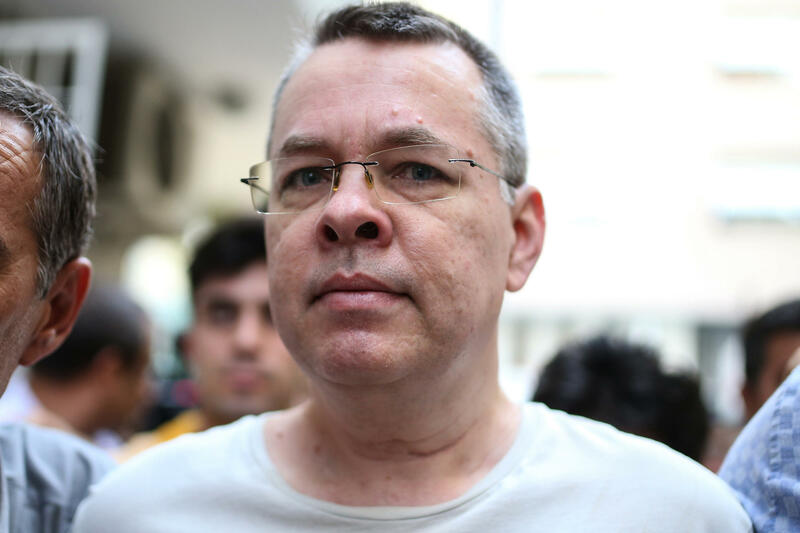 The same day his sentence was handed down, Brunson boarded a plane departing Turkey, according to the country's state-run Anadolu news agency. "The United States welcomes the release of Pastor Andrew Brunson," the White House said in a statement released several later. "We look forward to his return home where he will be reunited with his family." "My thoughts and prayers are with Pastor Brunson," President Trump himself tweeted, "and we hope to have him safely back home soon!" Turkish presidential spokesman Fahrettin Altun, too, lauded the ruling. He called it proof "that Turkey is a democratic country with the rule of law, and established the independence and impartiality of the Turkish judiciary." "Like the Turkish courts, the Republic of Turkey does not receive instructions from any body, authority, office or person," he said in a statement Friday, as translated by Anadolu. We make our own rules and make our own decisions that reflect our will." That said, the White House says it's not done working on behalf of others like Brunson. "We remain deeply concerned about the continued detention of other United States citizens in Turkey and around the world, and urge the resolution of all these cases in a transparent and fair manner," White House press secretary Sarah Sanders said in a statement. "The United States and Turkey have a number of mutual concerns regarding regional security and stability," she added, "and we look forward to working together on these issues."